In the race for Alabama's U.S. Senate seat last December, 98 percent of Black women voted for Doug Jones, effectively blocking Roy Moore, an evangelical candidate accused of sexually assaulting and pursuing several teenage girls, from taking office. Soon after the exit polls were released, prominent figures like Tom Perez, the chair of the Democratic National Committee, tweeted that black women had saved the day. When I ask Zoé Samudzi how that makes her feel, she sighs. Samudzi, a 25-year-old medical sociology doctoral student at the University of California San Francisco, is the co-author of the recently released book of essays As Black as Resistance. She’s also a rising star for her scholarship on black feminism and critical race theory. With nearly 50,000 followers on Twitter, Samudzi’s work and ideas have galvanized a diverse, millennial audience within and outside of academia. 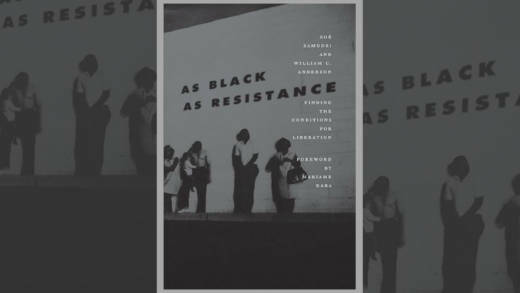 In As Black as Resistance, she and her co-author, William C. Anderson, explore a range of themes centering on blackness in America, including anarchism, colonial land and legacy, black radicalism, racial capitalism and white supremacy. Throughout the book, the authors focus on how anti-blackness leads to structural racism, the liberation politics of black radical groups and the state and police surveillance of black communities. Noticeably, Samudzi and Anderson do not dismiss the militant methods used by radical groups like the SNCC and Black Panthers, who rose to prominence in the 1960s, a time when white Americans terrorized black communities with lynchings and church bombings. In our conversation, Samudzi mentions some of the Black Panthers' armed tactics. Originally dubbed the Black Panther Party for Self-Defense, the Black Panthers were involved in many violent encounters with the police. Samudzi doesn't dismiss these methods, positing that there are “multiple tools for racial liberation and self-determination that can be used, whether they are non-violent civil disobedience or armed struggle.” She believes that black people should be able to defend themselves in any means necessary against racial violence and points to Martin Luther King, Jr.
As Black as Resistance is academic in nature, but Anderson and Samudzi distill key events and concepts so that even readers who are not well-versed in racial liberation politics can have something to take away. Throughout, Anderson and Samudzi describe the dehumanizing, racist events that have subjugated black people: enslavement; surveillance of black radical groups like the Panthers; police shootings of black civilians. The authors argue that black people cannot wait for that freedom to be handed to them, especially not from the very systems that have historically oppressed and continue to oppress them. When I bring up the Trump administration’s recent policy of separating migrant families at the U.S.-Mexico border, Samudzi doubts that we would have seen the same widespread, unified response against it if the policy targeted black people and black children. Samudzi admits that she is unsure of what a state that is not rooted in anti-blackness looks like “because [she’s] never seen the example of a state in which anti-blackness is not part of its orientation.” And while in As Black as Resistance, Anderson and Samudzi do not provide the exact tools for political change to occur, they make two things clear: that a rigorous political education of the injustices we have suffered is paramount, and that we must continue to reject violent systems of oppression, both personally and politically. 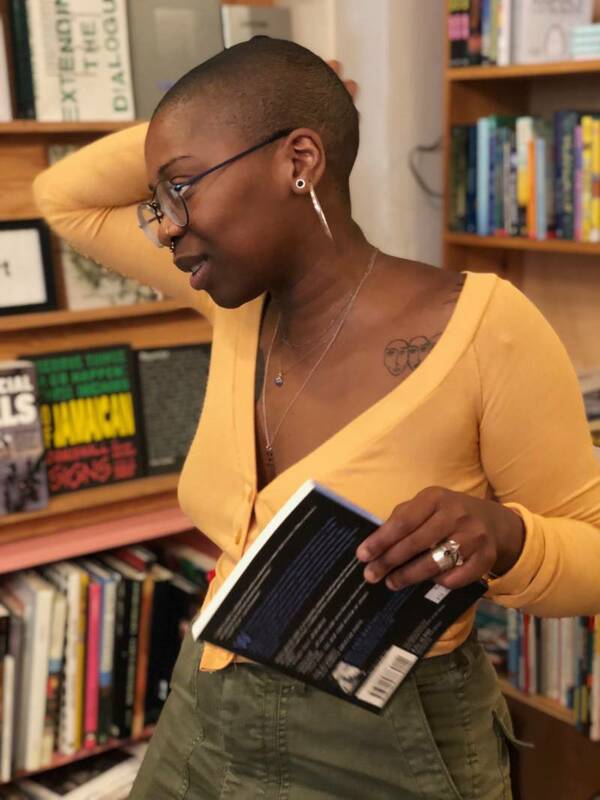 Zoé Samudzi presents As Black as Resistance at East Bay Booksellers on July 10. Details here.